Caloocan City Rep. Edgar Erice on Sunday supported former Rep. Ferdinand Martin Romualdez as the next House Speaker in the incoming 18th Congress. Earlier, Davao City Mayor Sara Duterte, chairperson of the Hugpong Ng Pagbabago, endorsed Romualdez, who is seeking reelection in May, as the next Speaker. 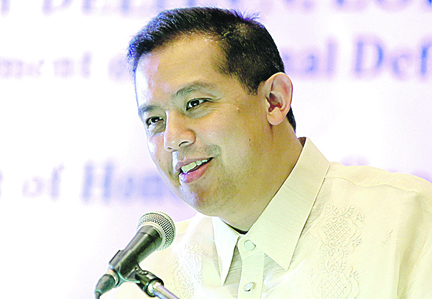 Romualdez, both president of the Lakas-Christian Muslim Democrats and Philippine Constitution Association, is running for the Leyte congressional seat to replace his wife, Yedda.